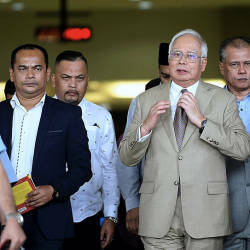 16 Apr 2019 / 15:35 H.
IPOH: The Sultan of Perak, Sultan Nazrin Shah, has described New Zealand Prime Minister Jacinda Ardern as a stout-hearted woman with a courageous stand and strong sense of humanity. He praised Ardern for her firm response to the murder of 50 worshippers at a Christchurch mosque by a gunman on March 15 this year. Sultan Nazrin said Ardern, 38, had shown courage through her statements and actions in the aftermath of the horrific attacks, thus giving confidence to Muslims in New Zealand that their security and right of worship are assured. “She is the youngest New Zealand prime minister since 1850 but has displayed extraordinary maturity. Her voice of humanity and strong stand is a voice that echoes truth, a stand based on justice. “Her voice should set the tone for the whole world; her stand should be used as a reference for world leaders. Her words and actions have given a new face and image to New Zealand, earning its people and the country high respect,” he said. Sultan Nazrin said this when opening the first meeting of the second session of the 14th Perak Legislative Assembly at Bangunan Perak Darul Ridzuan here today. 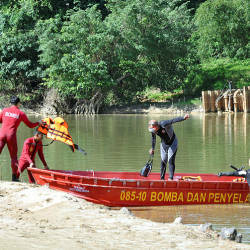 Also present was the Raja Permaisuri of Perak, Tuanku Zara Salim. At the suggestion of Sultan Nazrin, the House held a one-minute silence as a mark of respect for the victims of the Christchurch attacks. 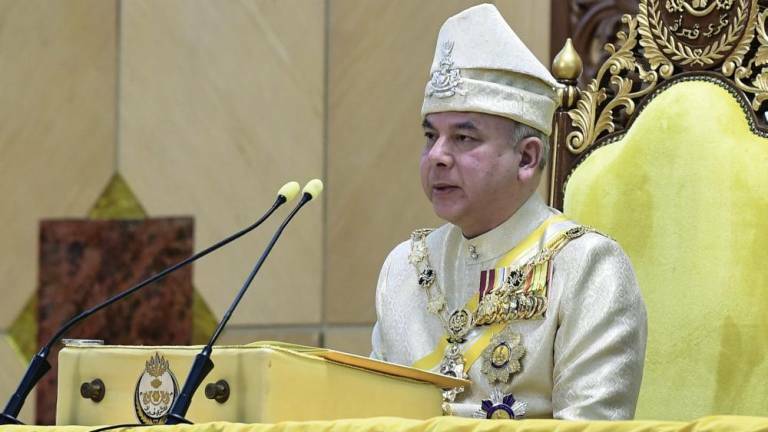 The sultan reminded Malaysians to take the New Zealand tragedy as a lesson by not poisoning the minds of people with hatred and enmity, especially in the name of race and religion. “Through the understanding and mutual respect practised by the people, this independent country (Malaysia) has emerged on the world stage as a stable, peaceful and prosperous nation although the people are of various races and religions. “It is feared that the action of any party in sensationalising racial and religious issues can ignite the flame of conflict which can destroy the peace, unity and harmony built by the previous generations.